The Club, Mumbai is a recreational space for people who want to keep it chill, all year round. Read on to know more. The Club, Mumbai was founded in 1998 and is sprawled over eight acres of lush greenery. Members have an all-access pass to their gym, tennis courts, basketball courts, swimming pool and their all-day diner, By The Waterside. Membership here comes at a hefty price, but worry not – you’ll be sorted for the next 25 years. You will often see families spending a chill Sunday afternoon by the pool and couples relaxing at the spa to ward off the week’s stress. Also, we dug deeper and found out three places that are open to public here. Antara Spa which has the most fantastic choice of massages (try their stone therapy), Kromakay Salon and Patisserie are open to public here. 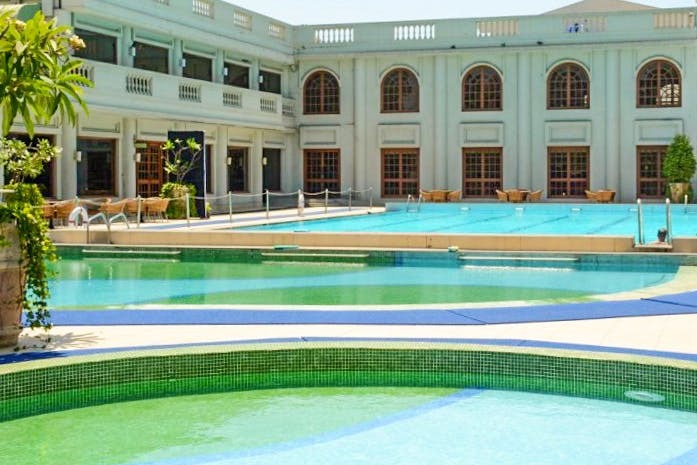 So, whether you want to just spend a relaxing day at one of the best spas in the city or get a pedicure while the world waits, head to The Club, Mumbai.